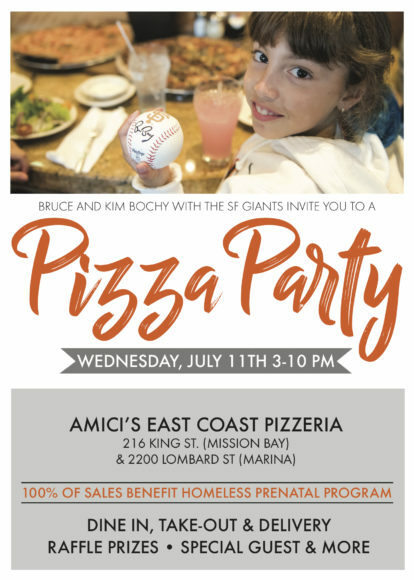 Once again, four-time World Series-winning Manager Bruce Bochy and his wife Kim will team up with Amici’s East Coast Pizzeria to raise money to help Bay Area families in need. Amici’s will donate an incredible 100% of sales from both San Francisco restaurant locations to the Homeless Prenatal Program. Bruce and Kim will make special guest appearances at both Amici’s locations on July 11th and will be available for autographs and photos. 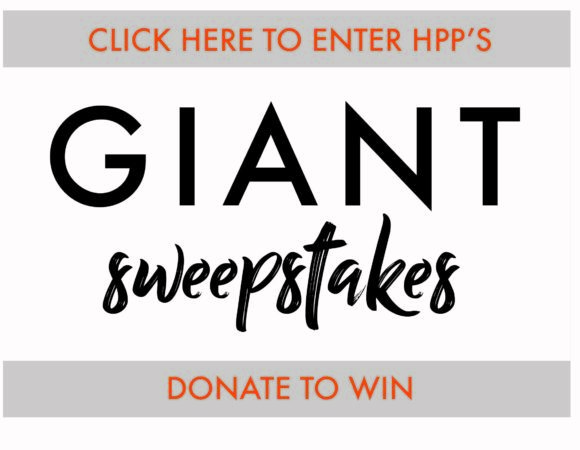 Purchase Sweepstakes Tickets for chances to win game tickets, autographed Giants player memorabilia, wine country experiences and much more. The KNBR 680 Morning Show with Brian Murphy and Paul McCaffrey will broadcast LIVE from the King Street location from 6am –10am on that day and will host interviews with Bruce Bochy and HPP’s Founder and Executive Director, Martha Ryan. Join us to watch the KNBR show and sweepstakes tickets will also be available to purchase.